As of the 2004 tax year, the Canadian Revenue Agency began reviewing applications for the Disability Tax Credit(DTC) using the criteria proposed in the February 2005 budget. Here are tips on how you can be approved for the DTC if you are living with insulin-dependent diabetes. Who can apply for the DTC? As of the February 2005 budget, the method of insulin delivery is no longer a deciding factor in defining Life-Sustaining Therapy. If you are the parent of a child 18 years or younger, you must have a doctor sign the form T2201. They are certifying that your child has Type 1 Diabetes. Canada Revenue Agency (CRA) assumes that a child of this age, who has Type 1 Diabetes DOES require 14 hours of Life-Sustaining Therapy when the amount of time spent by the parent is also factored in. 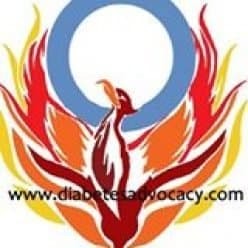 If your child is over 18 or you are an adult, you will now have to prove that it takes you over 14 hours per week to perform Life-Sustaining Therapy as required by your diabetes. In your initial application, the more information you and your physician can provide, the easier the approval process will be. Your doctor may be sent a supplementary questionnaire to fill out after your initial application is received. He/she will again have to certify that you do require at least 14 hours per week to perform Life-Sustaining Therapy. Once your doctor signs this second form noting tasks performed totaling 14 hours or more, your application will further be reviewed and a decision will be made on your claim by CRA. Take our quick quiz to see if you might qualify. What tasks are included/defined as therapy in Type 1 diabetes? treating and recuperating from hypoglycaemia when caused by a life event rather than human error. Download our workbook to see how much time you spend weekly on approved tasks. commonly available in a grocery store and cooking or otherwise preparing and setting out a meal. The test is feeding oneself, not simply eating a meal. The language of the legislation is clear in that respect. The requisite ability to feed oneself involves the ability to prepare a reasonable range of food and not just to prepare and set out snacks, junk foods or frozen dinners. One should also be able to match their dietary requirements to their medical needs. In the case of young children, they clearly cannot feed themselves. A person with Type 1 Diabetes does require Life-Sustaining Therapy. Insulin is not therapy alone. It cannot be given like an aspirin but must be monitored in conjunction with diet, exercise, illness and more. The question of what defines therapy is a hotly debated issue with CRA. Here are a few tips on insulin therapy and the definition of insulin therapy that may be of further assistance to your case. Reference to the DCCT trials and the importance of tight control may also be of assistance in helping the Canadian Revenue Agency agents to understand what therapy truly is. The types of insulin therapy and insulin action times are found on our diabetes care page. Need more help filling out your form? Click here for assistance options. Points to note if you must appeal your decision. ______was diagnosed with Type 1 (sometimes called Juvenile) diabetes in ____ and she/he has been insulin-dependent since that time. As will all types of diabetes, the metabolism of carbohydrates (including sugars such as glucose), proteins, and fats is altered. In Type 1 Diabetes, the beta cells no longer produce insulin. Insulin is required to allow glucose to enter the blood cells to be used as fuel. Without insulin and monitoring of _____ blood sugars and the assessment of trends and adjustments in her/his insulin dosages, ____ will suffer hypoglycemia caused by too much insulin in her/his system and hyperglycemia caused by too little insulin in his/her system. Without adequate insulin, glucose builds up in the bloodstream instead of going into the cells causing hyperglycemia. When suffering from hyperglycemia, the high levels of glucose in the diabetic’s blood causes the person with diabetes to urinate more which, in turn, causes excessive thirst. When ____ has hyperglycemia, it means she/he does not have enough insulin in his/her body and this can result in her/him being very thirsty, tired, have blurred vision, frequent urination and nausea. Hyperglycemia increases the risk for all types of strokes. Diabetic Ketoacidosis, if untreated, is fatal. With too much insulin in his/her body ____ blood glucose gets too low causing her/him to suffer from hypoglycemia. When suffering from hypoglycemia, low levels of glucose in the body caused by too much insulin, the body does not have the energy required to function properly. When ____suffers from mild-moderate hypoglycemia, or low blood sugar values, she/he feels weak, confused, irritable, hungry and tired. Without intervention and/or treatment for hypoglycemia ______ can develop severe hypoglycemia. Severe hypoglycemia can cause unconsciousness, coma, convulsions or even death. The Appellant submits that the claim for the Disability Tax Credit with respect to his/her dependant’s impairment is correct. Withholding insulin will kill your children resulting in criminal negligence. This is the best case found so far. It speaks directly to the difficulty of the daily management of someone who has Type I Diabetes ( this case deals with a six year old). In this case, the judge has broadened the definition of “therapy” to include time spent monitoring meals. Here a judge ruled that the CCRA did not provide medical testimony to refute the claimant’s doctor’s testimony that he received Life-Sustaining Therapy and therefore he was granted the tax credit for the medication he was now using.